Edit colors, fonts, navigation and page design within minutes using the WordPress customizer and create you own professional, modern hotel website look. 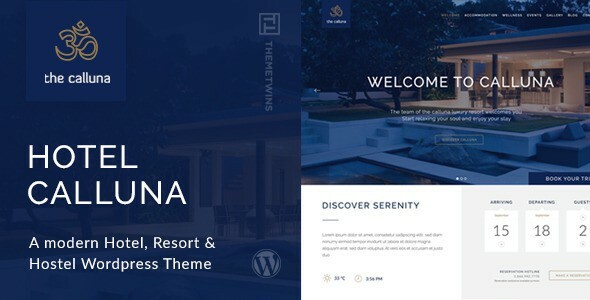 Item Reviewed: Hotel Calluna - Hotel and Resort WordPress Theme 9 out of 10 based on 10 ratings. 9 user reviews.